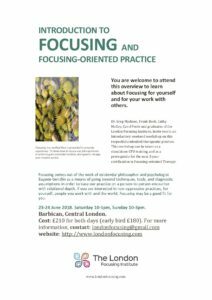 You are welcome to attend this overview to learn about Focusing for yourself and for your work with others. 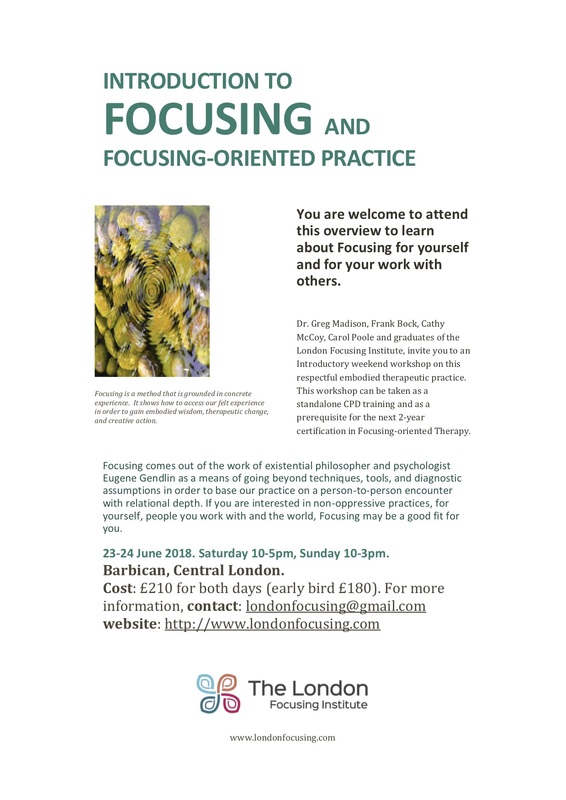 Dr. Greg Madison, Frank Bock, Cathy McCoy, Carol Poole and graduates of the London Focusing Institute, invite you to an Introductory weekend workshop on this respectful embodied therapeutic practice. This workshop can be taken as a standalone CPD training and as a prerequisite for the next 2-year certification in Focusing-oriented Therapy. 23-24 June 2018. Saturday 10-5pm, Sunday 10-3pm.